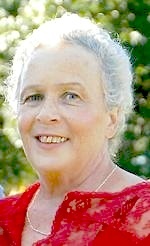 Lonna Faye Gargus, 63, of Spring Hill, KS passed away November 12, 2015 in her home. Funeral service will be 1:00 pm, Tuesday, November 17, 2015 at Bruce Funeral Home, 712 S. Webster, Spring Hill, 913-592-2244. Burial to follow at Spring Hill Cemetery. Visitation 5-7:00 pm, Monday, November 16, 2015 also at the funeral home. Please consider donating to your local community blood bank. Lonna was born March 7, 1952 in Medford, OR to Robert and Maxine (Helm) Dawson. She grew up in Kennewick, WA and graduated from Kennewick High School. Lonna married Douglas Jack Gargus May 5, 1973 in Kennewick, WA. They moved to the Johnson County, KS area, settling in Spring Hill in July of 1976. She worked for 29 years at Farmer’s Insurance in the Regional Office in Overland Park. After retiring in 2009, Lonna dedicated her time to her family, which included showering her grandchildren with love. She enjoyed RV travels and campfires with her husband of 42 years and their friends. Lonna was a member of Grace Community Church of the Nazarene and Vietnam Veterans of America Auxiliary. She will be dearly missed by family and friends. Lonna was preceded in death by her parents and sister, Willene Racle. She is survived by her husband of the home; daughter, Susan Faye Gargus Liddell and husband, Beau of Olathe, KS; siblings: Constance Stecker of Richland, WA, Donna Brown of Port Angeles, WA and LaJetta Sue Deusner of Phoenix, AZ; two grandchildren: Jonah Jack and Cadence Emmalyn.